January | 2015 | Franchising You. When you think of wedded bliss, do you picture the demands, time, and stress of running a successful business with your spouse? Although it may seem like a lot to take in – everything revolving around your business in addition to the everyday stresses of taking care of your family and running a smooth household — it’s an endeavor which can be very rewarding and worth the financial and personal risk. For some, it may seem like too much. Many married couples prefer to separate work from family life. However, the TWO MEN AND A TRUCK® system sees many married couples run successful, multi-unit franchises and learn to grow a marriage within a new normal! Several franchisee couples have found their skill sets complement each other, allowing them to split responsibilities in the business. In addition to complimenting each other’s skill sets, many married couples embody and show strong passion for the company’s strong community values and core principles. For example, take longtime Franchisees Brooke and Les Wilson. Les worked as a TWO MEN AND A TRUCK® mover while in school at the University of South Carolina. He eventually became general manager of the Columbia, S.C. franchise. 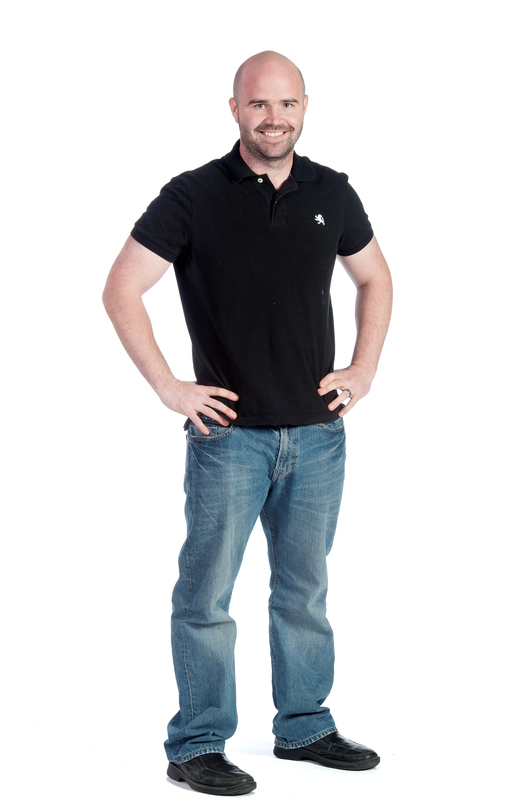 Les thrived on the daily interactions with the movers, drivers, and customer service representatives. He also loved providing customers with excellent customer service, and realized he could see a viable career in this industry. Les teamed up with a group of investors and purchased the rights to the TWO MEN AND A TRUCK® franchise in Charlotte, N.C., just after graduating from college in 1999. In September 2004, Les partnered with his wife, Brooke (who started her TWO MEN AND A TRUCK® career as a customer service representative) to open the Durham, N.C., franchise. From there , the married duo continued expanding their franchise profile throughout the east coast. They added Henry County, Ga., January 2007, Eastern North Carolina January 2008, South Fulton, Ga., October 2008, Raleigh, N.C., November 2012, Bethesda, Md., November 2013, and Columbia, Md., April 2014. Originally, the Wilson’s decision to work together as a couple was out of necessity more than anything. Brooke was the primary customer service representative in the franchise and Les managed the move crews and performed onsite move consultations. As they soon found out, their business relationship thrived because their business strengths complemented each other beautifully. Having separate areas of focus and balancing each other out at the workplace sounds easy, right? Les recommends husband-wife business owners keep work at work, and focus on one another’s business strengths while at the office. 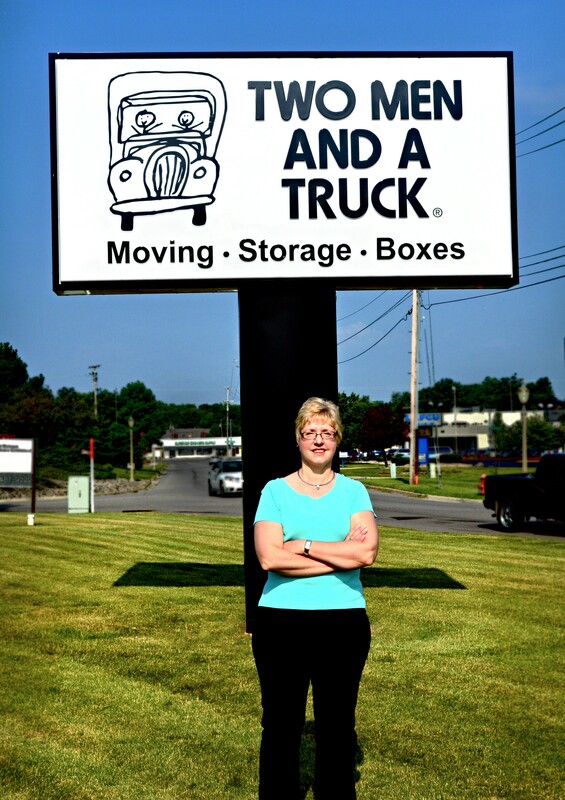 The Wilsons are excited to continue growing their successful TWO MEN AND A TRUCK® operations. They plan to continue improving processes and hiring on team members to take their franchises to new levels. Once these goals are accomplished, they will consider expansion options to determine what markets work best for their teams to thrive. Watch more on Brooke and Les, here. You can also learn more about Joel and Janelle Dowley, Florida franchisees, here. Be sure to check out the TWO MEN AND A TRUCK® YouTube channel for additional interviews and fun videos to learn more about the company! 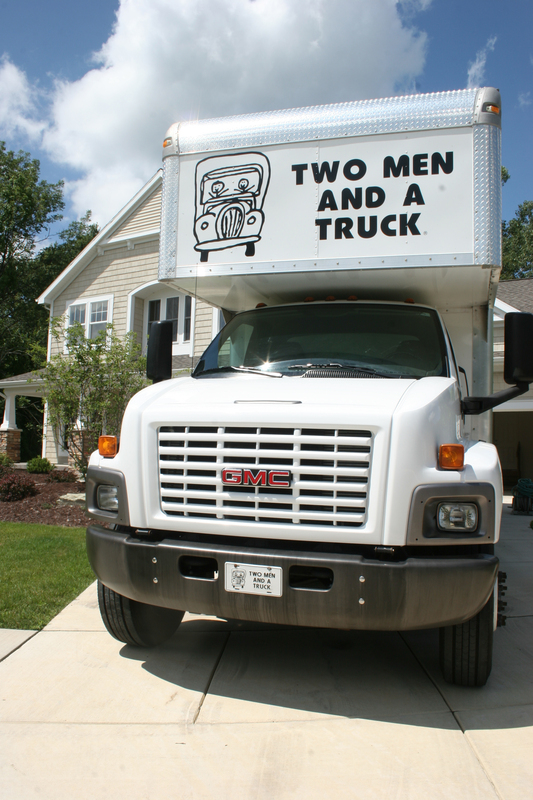 Has TWO MEN AND A TRUCK® captured your interest? The TWO MEN AND A TRUCK® franchise system is the largest, fastest growing franchise brand with an integrated way to run a moving franchise. We are constantly investing millions annually to improve our operating system. With a proven track record of growth and the highest customer service referral rate in the industry, we are posed for even more success in the coming years. We are setting records at all levels and whether you are an accountant, insurance agent, doctor, or CEO, we have the system and results for those looking to invest and own their own business. It’s important to understand TWO MEN AND A TRUCK® views their franchisees as long-term partners. The partnership is between the franchisee and Home Office to strengthen the brand and its success. The partnership between franchisees and Home Office requires a large amount of communication and engagement. We work daily to move our franchisees, customers, and communities forward. Visit our website for more exciting information on TWO MEN AND A TRUCK® and our franchising model. In lieu of change, new beginnings and a new year, perhaps becoming a franchisee is in your future. Franchising is a growth business model filled with immense opportunity for you! These attributes, among many others, have contributed to TWO MEN AND A TRUCK®‘s record number of expansions in the past two years in addition to more than 60 months of consecutive growth for the system. Before becoming a franchisee, be sure to follow these six tips to truly underst and what it takes to join a franchise system. First things first! You need to fully understand franchising and what it means. Become familiar with franchising terms, the business model, success stories, expectations, and what becoming a franchisee entails. If you want to be successful, put in the time to learn what you’re getting into. It is a partnership model, and you want to understand the role you would have as a franchisee. Conduct research. It’s imperative to understand brand expectations, capability, support, and success. When you decide what concept you want to franchise with, really get to know that brand and understand how they operate and drive revenue. Of course, not all brands are the same. Look at the sustainability of the model, the track record of success, the resolution, talk with other franchisees, and look at the support and capabilities of the franchisor. Additionally, look even beyond the numbers and model to understand some of the attributes that make the brand special such as their impact on communities, charities, etc. Develop a comprehensive business plan. When creating your businesses plan, determine timelines, budgets, organizational charts, and a competitive analysis, and include in-depth details. Lastly, understand your capital needs to launch and grow this exciting new venture. Make sure you love the opportunity for your brand. If you don’t like what you’re going to do, you won’t be happy or successful. Beyond our impact to serve customers daily, at TWO MEN AND A TRUCK® we love to serve our communities and this impact changes people’s lives in unique ways. Identify unique business or personal opportunities the franchisee system could provide you and in addition to other added benefits. Are there opportunities for growth or expansion? Is this a model that supports your personal needs over the long term? Do your values truly align with the core values of the brand? Also, is there alignment with the partnership expectations and the dynamics of the established franchisor-franchisee relationship? Inspect the overall health and trends of the brand. It’s not wise to invest in a business that is only a fad. Ask yourself if that business will be around in five, 10, or even 15 years. Learn about the history of success of the metrics at all levels and all states/locations. Compare how different franchises operate by speaking to existing franchisees and pick a great franchise model that fits what you believe in. Visit our website for more exciting information on TWO MEN AND A TRUCK® and our franchising model. You can also download the following documents, here, which is your first step in becoming a TWO MEN AND A TRUCK® franchisee. Item 19 Document – The Item 19 document is a public document that discloses franchise financial information. 12 Week Timeline to Opening – An easy timeline of requirements you need from 12 weeks out to opening day. Investment Requirements Document – A single page document detailing the investment range you can expect.